Celebrate the history of a Tri-State landmark all of us hold dear. 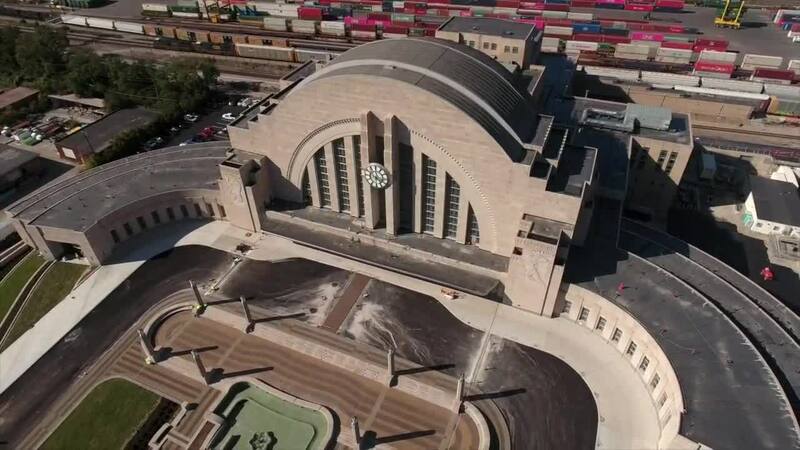 The 43-minute documentary tells the story of Union Terminal from its rise as a railroad station, fall as a shopping mall and vacant "white elephant" to its reopening as the Cincinnati Museum Center and $224 million restoration. CINCINNATI -- Celebrate the history of a Tri-State landmark all of us hold dear. The 43-minute documentary, "Saving Union Terminal," tells the story of its rise as a railroad station in 1933, to its time as a science center in 1968, to its fall as a shopping mall in the '80s and vacant "white elephant," to its revival as home to the Cincinnati Museum Center, and finally to its $224 million, 2 1/2-year restoration and grand reopening later this week. You can watch it now in the video player above and on WCPO's channel on Roku and Apple TV. WCPO debuted the documentary on-air and online Sunday night. Local filmmaker Billy Miossi produced the documentary. "Making this documentary has been an experience full of discovery for me; not only of Union Terminal's unique history and one-of-a-kind, purposeful design, but also of a building whose underdog legacy has always made it something to root for among Cincinnatians," he said. The documentary will also be shown at the end of November in the Scripps Howard Newsreel Theater at Union Terminal. Visit myunionterminal.com for more information.